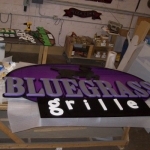 The Kentucky Expo Center is a facility operated by Centerplate, their food and beverage services partner. 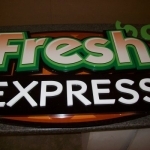 They are one of North America’s largest providers of quality food and beverage, catering, merchandise and facility management services for many of America’s best-known sports, convention and entertainment venues. 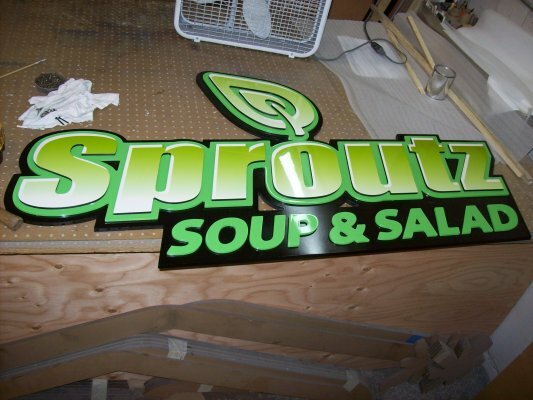 Creative Surfaces is a partner of Centerplate, designing and manufacturing their concession stands and interior signage for their venues. 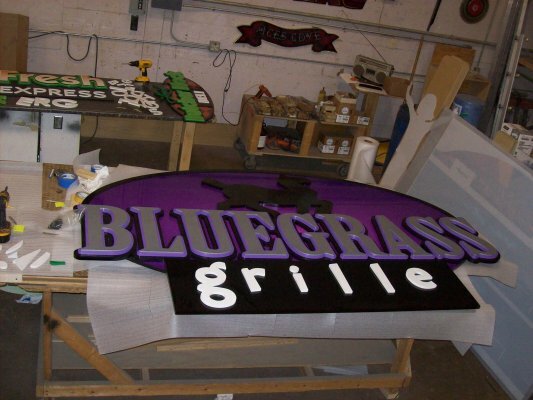 For the Kentucky Expo Center we produced and installed all new Formica Black plastic laminate on the countertops, built two new menuboards and wrapped an awning fixtures. 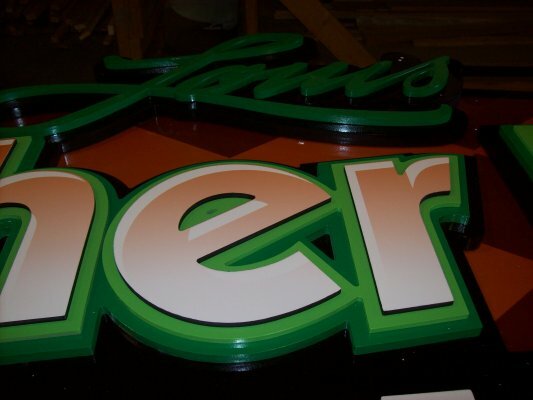 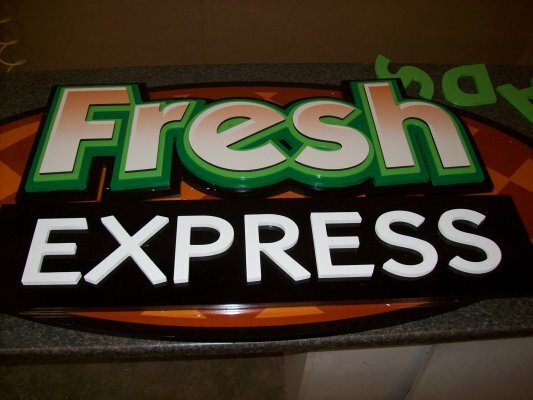 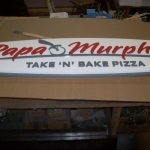 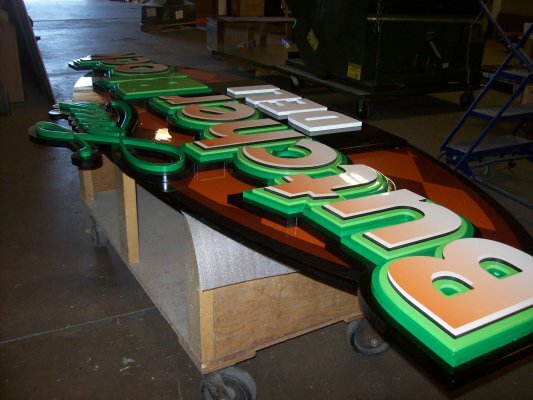 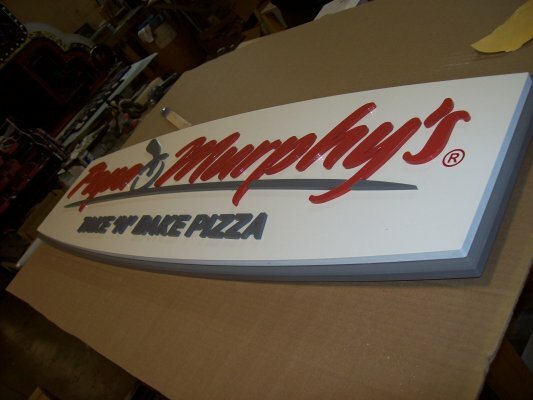 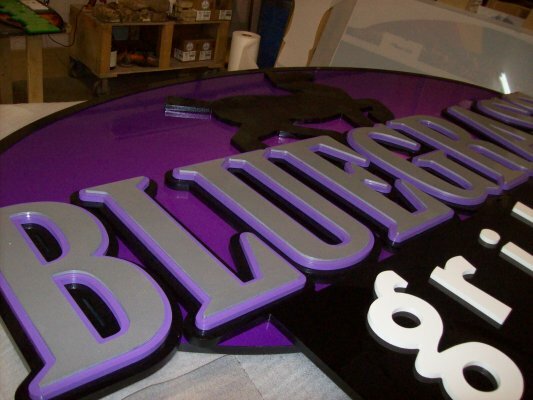 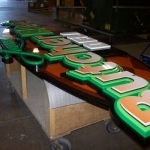 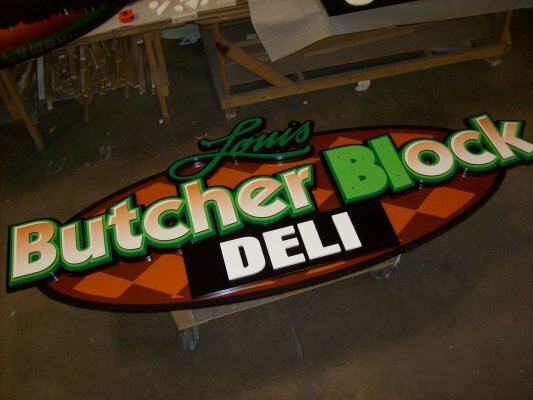 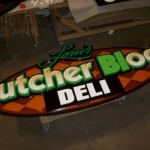 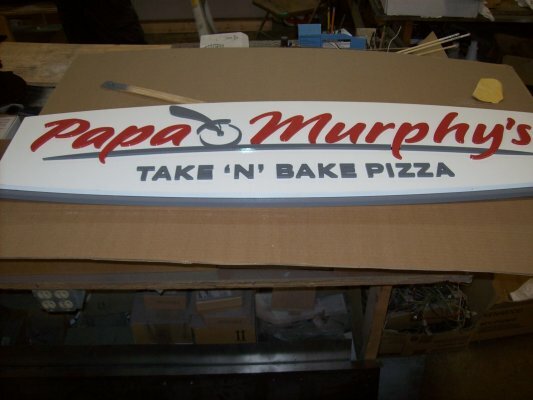 We produced several dimensional signs with varying painted and graphic finishes. 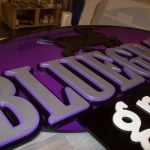 All the signs and awnings were installed by our team – the awning fixtures are 1″ aluminum square tubing cladding aluminum panels and wrapped with printed vinyl to match designed pantone colors on each individual sign. 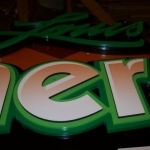 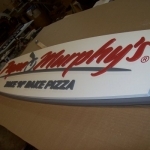 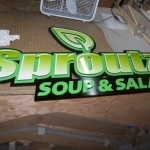 The menuboards are flex prints mounted to pvc backer; the sign faces all have pvc packers, with layered letters painted various colors to match awning fixtures.